Certified Dialysis Technician job demands and Certified Dialysis Technician salary are consequently rising in Healthcare Industry. Certified Dialysis Technician is the most noteworthy and very high in-demand respectable occupation with flexible work hours. Dialysis Technician is a valuable member of the healthcare team. Param Institute of Education provides the highest quality state of art education and help in placement also. Join our Dialysis Technician Program and open the especially relevant great doors into the Healthcare Industry with job stability. Contact for course details just today and secure your admission. 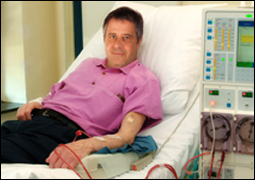 Q: What does a renal dialysis technician do? Dialysis Technicians, also called Hemodialysis or Renal Dialysis Technicians, operate kidney dialysis machines which filter normal waste products and excess fluids from the blood of patients whose kidneys can no longer perform that function. They are healthcare professionals having clinical and technical skills to provide both direct patient care as well as dialysis equipment maintenance and repair. 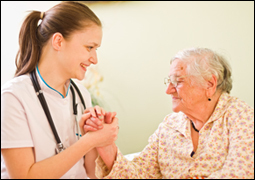 Therefore Dialysis Technicians perform their duties under the on-site supervision of a registered nurse or physician. Q: Where do renal dialysis technicians routinely work? The renal dialysis technician can be employed in hemodialysis units at outpatient centers or in Hospital or Dialysis Center. Q: Can you provide me some information about your Dialysis Technician training program? The training program consists of minimum 700 hours of, especially relevant training. This includes 400 hours of classroom teaching and 180 hours of the laboratory in addition to 120 hours of Clinical Externship. Since all these hours are mandatory, one needs to complete the course. The total cost of the Dialysis Technician program is very small reasonable as compare to other vocational-technical programs. For information, please visit our school or call our Admission Coordinator for details. This program runs in both day and evening hours. Q: Is your program approved by BONENT? Yes, our Dialysis Technician program is approved by Board of Nephrology Examiners Nursing and Technology (BONENT). Furthermore, Upon completion of this program, you will be eligible to take Certification examination from Board of Nephrology Examiners Nursing and Technology (BONENT). Upon Passing the Examination BONENT will issue a certificate of passing Certified Hemo-Dialysis technician (CHDT). Q: How much does BONENT exam cost? The Paper and Pencil Exam (PPE) fee are $220. The Computer Based Testing (CBT) fee is $250. Q: How long will my BONENT certification last? BONENT certification lasts for 4 years. Q: Are there Jobs available for me in the field of Certified Dialysis Technician? According to the U.S. Bureau of Labor Statistics (BLS), Dialysis Technician profession is the same as other Medical and Clinical Laboratory Technicians. 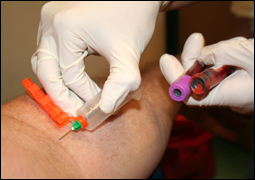 The U.S. Bureau of Labor Statistics (BLS) predicted an 18% increase in medical and clinical laboratory technician occupations between 2014 and 2024 (www.bls.gov).